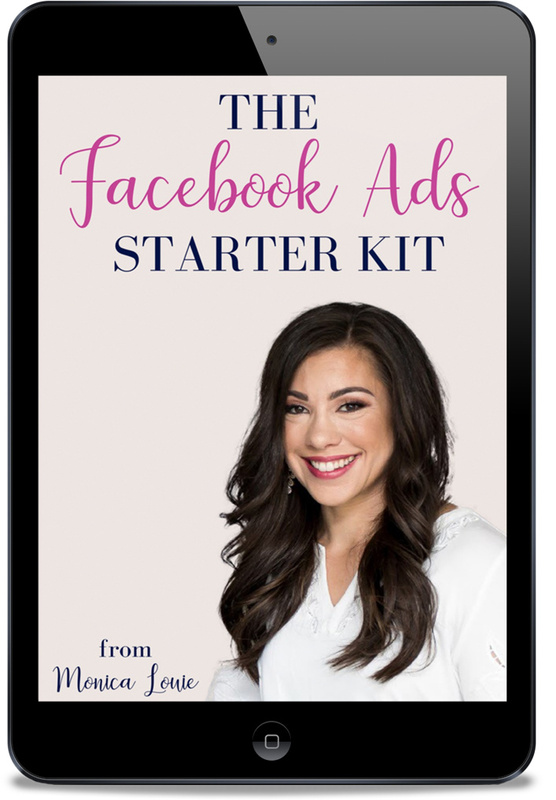 You're just getting started with Facebook ads and there are lots of things to consider. But the first thing you should is what audiences to target. With so many ways to target the billions of people on Facebook, it can be overwhelming to know which audiences are right for you. This is what I'm breaking down in today's Facebook Live video! Do you know how to find your audiences? Have you heard a little bit about the audience heat spectrum? This is exactly what I cover as well as the ins-and-outs of Facebook ad audiences — they can easily be broken down warm, cool, and cold audiences. I also reference how to use your Facebook Pixel (which I cover in-depth in another video), and the easiest audience you can use to start. Next, I go over how to create audience lookalikes, so you can find even MORE people who be interested in your ads. Click the play button to watch! If you enjoyed this Facebook live, let's connect! Still interested about audiences and how to get started with Facebook ads? Check out my free guide! Click here to download it for free! Want to learn more about the Facebook Pixel? Use this shortcut link. The three audiences are discussed at 2:15, 5:10, and 7:00! Have you heard about my updated course? You can learn more about it by clicking here. Don't forget to like my Facebook Page if you haven't yet.